Here are my Top 15 girls who made a statement and left affirmative impressions in MGI's welcome dinner yesterday! Well they always say "Less is more" and it's true! These ladies opted to be simple and graceful with their white/skin tone/silver dresses. They've got some feisty personality and they're not afraid to try something different! These ladies love colors and intricate designs in their dress. These ladies are simply breathtaking! Their over all look commands our attention! Kudos to the team behind these gorgeous women! These dresses alone are not really great but what makes these 3 ladies outshine the others is that they've chosen a dress that best reflects their personality! When the dress and the lady who wears it compliment each other then magic gets created! Last edited by SHREWD on Wed Oct 10, 2018 4:37 am, edited 3 times in total. India is LIGHTYEARS away from the rest. I don't know if its her face, its her styling, her stance, or its her overpowering star quality, but unless she's an airhead and as dumb as rock, its her crown to lose! Not thoroughly impressed with Eva's wardrobe. I am getting Cumbia flashbacks with its tulle and sequins done badly and whoever packed it should've made sure Liz Clenci's stylist was around. chorr wrote: India is LIGHTYEARS away from the rest. I don't know if its her face, its her styling, her stance, or its her overpowering star quality, but unless she's an airhead and as dumb as rock, its her crown to lose! Meenakshi is very smart and you can also somehow feel her empathetic nature when she speaks. She is studying to be a doctor as well. Check out her Miss India top 10 and top 5 QnA. She is the full package, quintessential Indian beauty. Last edited by pineal on Tue Oct 09, 2018 3:49 pm, edited 1 time in total. India's overall aura radiates even in photos! That's how gorgeous she is! Indians are left and right hyping Ms. India. SHREWD wrote: Here are my Top 15 girls who made a statement and left affirmative impressions in MGI's welcome dinner yesterday! APPLIES TO " W O M E N " !!!!!!! IDIOTA MAKAPAG INGLES LANG !!!!! STOP TRYING TO IMPRESS US WITH YOUR STUPID RIDICULOUS ENGLISH !!!!!!!!!!!! TONTA !!!!!! LETSE !!!!!! I LOVE THIS YEAR MGI EDITION !!! MYANMAR IS AN EXCELLENT HOST !!! LOVE THE PANORAMA, CULTURE, PEOPLE !!!! I MIGHT VISIT MYANMAR SOON !!!!! ITS ON MY BUCKET LIST NOW UPON SEEING THOSE PHOTOS !!!! BACK TO MGI, EVA IS STUNNING LOVE HER PORCELAIN SKIN ,,,BUT HER STYLING IS NOT THAT GOOD !!!! SO MANY STUNNING GIRLS THIS YEAR !!!! THE PAGEANT SEEMS WELL ORGANISE, AND REALLY GRAND !!!! INDIA is stunning. I think she will win he crown. Venezuela is pretty but she lacking something. I dont know. Eva's styling is a hit or miss. Good thing she has a pretty face. I can't wait for the national costume competition. Bagan is such a magical place. hjackson wrote: I LOVE THIS YEAR MGI EDITION !!! MYANMAR IS AN EXCELLENT HOST !!! LOVE THE PANORAMA, CULTURE, PEOPLE !!!! I MIGHT VISIT MYANMAR SOON !!!!! ITS ON MY BUCKET LIST NOW UPON SEEING THOSE PHOTOS !!!! The candidates will start arriving in Yangon, the former capital city, on October 5th. The Welcome Ceremony and Press Conference (October 8th) will take place there, as well as visiting some tourist attractions, where they will be photographed (official portraits). Although Myanmar moved its capital to Naypyidaw in 2005, Yangon remains the largest city and commercial hub in the country. Many colonial-era buildings flank the tree-lined avenues of the city center, boasting end-of-century British architecture styles, while tall buildings remain scarce. On a tour of Yangon, you can discover its glittering, gold-plated pagodas and temples, visit a number of museums, and wander its spacious parks. Tea shops, a staple of Yangonese culture, as well as a diverse choice of restaurants, await the candidates and visitors in Yangon. While in Yangon, the candidates will stay at the fabulous 5-star Chatrium Hotel Royal Lake Yangon, where every guestroom is spaciously designed and furnished to reflect the luxurious surroundings, with breathtaking views of Shwedagon Pagoda. Then, on October 12th, candidates and staff will move to Bagan, one of the most beautiful places in Southeast Asia. The ancient city which was the capital of the Pagan Kingdom, over 1000 years ago, is home to some 2,200 temples and pagodas built during the 4 centuries the kingdom survived. The Bagan Archaeological Zone is a main tourist attraction in Myanmar, especially if seen from above, flying in a balloon. It´s in Bagan, on October 15th, that the National Costume Competition will take place. It´s the time when the colors and cultures from around the globe will be displayed in Myanmar. The beautiful Myanmar Treasure Resort will be home to the MGI candidates while in Bagan. On October 16th, the group will move to its 3rd destination: Kawthaung. The city known as Victoria Point during British colonial times, is the southernmost point in Myanmar. A culturally varied place to wander around, with strong Indian and Muslim influences, Kawthaung has in its beaches and islands, its main attractions. 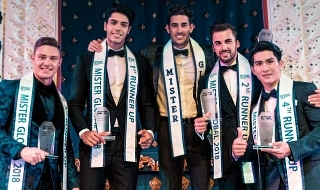 It will be there, more specifically at the 5-star Grand Andaman Hotel, that the Best in Swimsuit competition and the preliminary interviews will take place. The Grand Andaman Hotel, which makes exclusive use of Thahtay Kyun island, features a casino, an outdoor pool set in a tropical landscape and a world-class spa. Rooms feature large private balconies overlooking the sea or garden, and luxurious Thai-style decor. Everyone will head back to Yagon for a decisive week on October 20th. 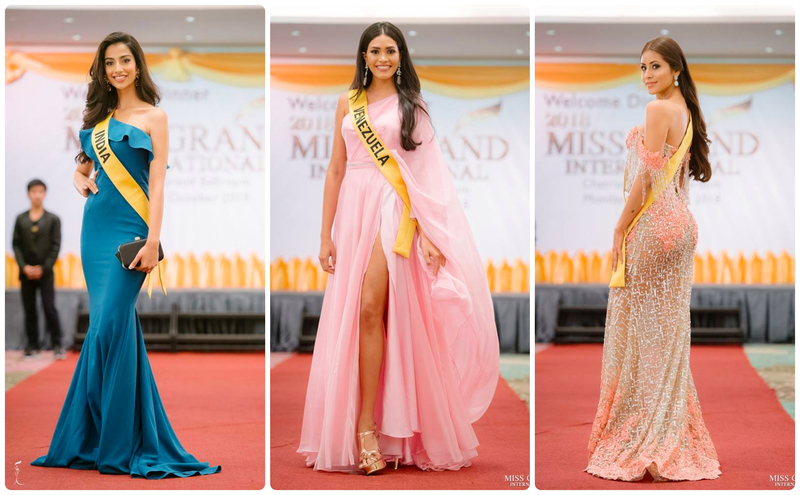 There the candidates will face many hours of rehearsals, will parade at the all important preliminary competition (October 23rd), and be part of a great spectacle in the amazing final show (October 25th), when Miss Grand International 2018 will be crowned. The One Entertainment Park will serve as venue for the preliminaries and the big final of this Big 5 competition. EVA'S STYLING IS QUITE A DOWNGRADE FROM CLENCI'S. SHE SHOULD'VE UNDERGONE WORKOUT FOR TONING AS WELL. 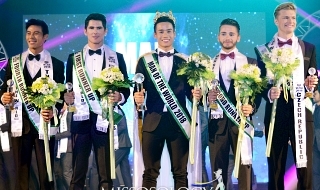 I think, Miss Bulgaria stood out, She is very honest when she said, "Hmmmm I don't like the food"
MGI is doing a great job! 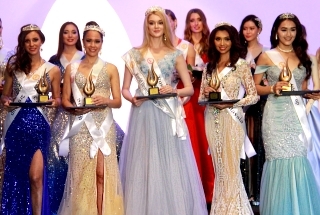 Full of glamour and luxury...that's how a real beauty pageant is supposed to be! Was the TS present during dinner to accurately pinpoint who stood out? India should win this year! Mexico is a good alternate!